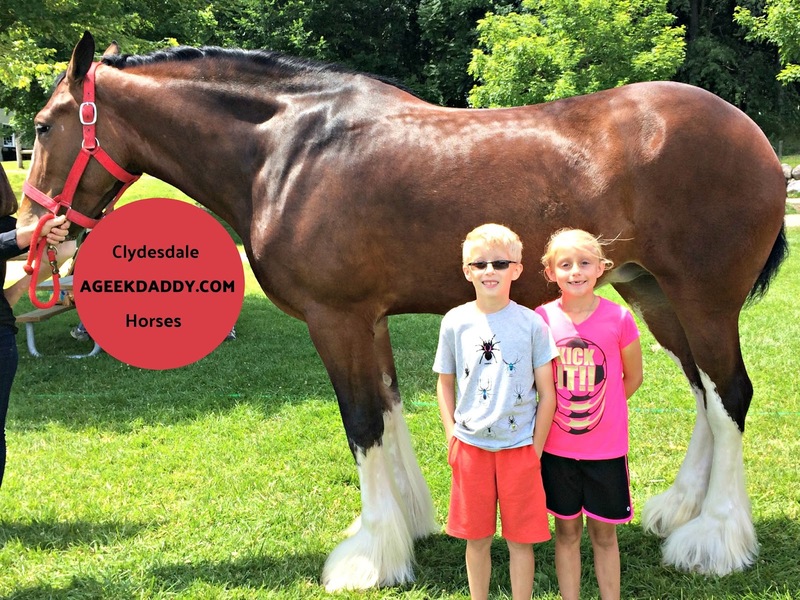 As part of the Detroit area's Huron-Clinton Metro Parks 75th anniversary celebration, they recently hosted an opportunity for families to get a close up look at the magnificent Clydesdale horses from Greenwood Farms. Clydesdales are one of the most well know horse breeds by Americans, due in large part to their being a mainstay of Budweiser's branding and marketing efforts since the 1940's. It wouldn't be a Super Bowl without seeing an advertisement featuring the Budweiser Clydesdales! Anheuser-Busch paraded a team of six Clydesdales down a St. Louis street in 1933 carrying the first cases of Budweiser beer produced by their brewery after the repeal of Prohibition. Clydesdale horses have been synonymous with Budweiser ever since. Anheuser-Busch now maintains a stable of more than 100 Clydesdales it utilizes for advertisements, corporate functions, charitable causes and community appearances. 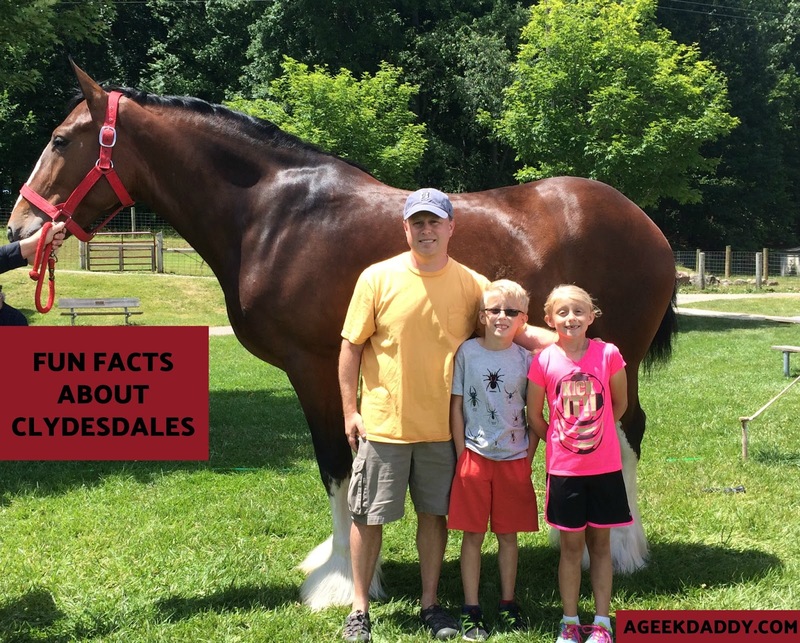 Did you know though that Clydesdale are considered an endangered horse breed? Originally used as war horses because of their great size and calm disposition, farm work horses for plowing and cart haulers for moving cargo, the Clydesdale became obsolete with the development of motorized transportation. Owning these horses became a liability instead of a necessity so people stopped breeding them. By 1975 there were only 80 of these gentle giants left in the world. Thanks to the popularity of the horses from Budweiser's promotions, stables like Greenwood Farms began efforts to save these gentle giants. Today there are more than 5,000 Clydesdales around the planet with a majority of them being in the United States where they are treated with a sense of national pride. 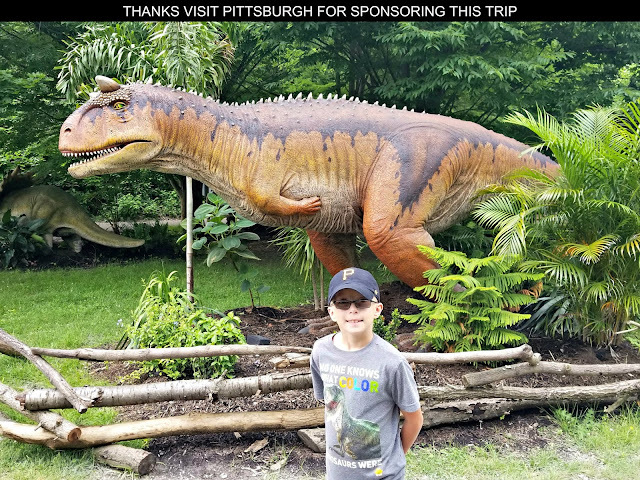 I didn't want to miss out on getting a close up look at one of these magnificent animals so took my kids on a road trip over to the Farm Center at the Metro Park's Kensington location for this event. You really don't realize how big these horses are until one is towering next to you. As burly as these horses are they are very gentle and really soft to pet. The horses weren't disturbed at all by being touched and having people take pictures alongside them. 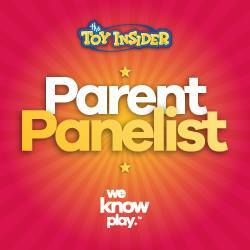 It really was a memorable moment and my kids were delighted by the experience. 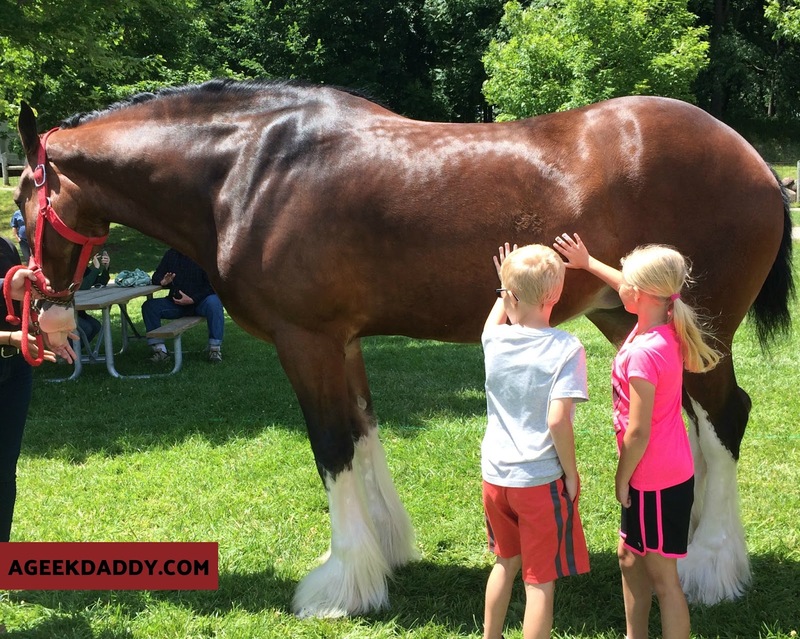 If you have the chance to visit with a Clydesdale don't miss out on the opportunity. While Clydesdales have become recognized as a symbolic American animal, the breed originates from an area of Scotland once know as Clydes Dale. A horses height is measured in hands. One hand is equal to four inches. The average height for a Clydesdale is 18 hands = 6 feet tall. Clydesdales have huge feet! Their horseshoes are 20 inches in diameter and weigh 5 pounds which is twice the size and four times the weight of a normal horseshoe. They eat a lot! An adult Clydesdale can eat 60 pounds of hay and drink 30 gallons of water per day. These horses can weigh more than a ton! To deal with the cold winter temperatures of their native Scotland, Clydesdale have developed a trait called feathering which is which is hair around the horses' hooves and ankles. Take a look in the pictures we took at the white hair where you'd normally see the hooves on another type of horse breed. A newborn foal will normally weigh around 180 pounds. That is what I weigh right now! These horses are extremely strong. One Clydesdale can pull more than 7,000 pounds by itself. Wow!